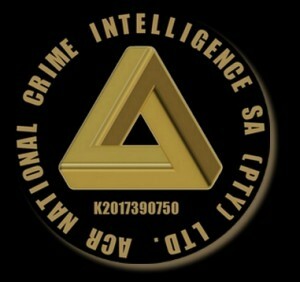 ACR National Intelligence SA (PTY)Ltd.
WHERE YOU WILL ABLE TO ACCESS LIVE TRAFFIC FEEDS AND MORE!!! Members please be advised localized flooding occurred and still occurring in most of the well known lower areas, as well as higher areas of the area especially where storm water drains are blocked and not sufficiently maintained. Please stay clear of Rossburgh / Southway Mal Area. Multiple reports from members of roof damages occurred and occurring. Members without electricity due to tripped circuits. Disadvantaged persons displaced and or injured from the flooding. 1. If you have no need to leave your property today, please remain off the roads. 2. If you have to leave to go to work, please leave earlier than usual and allow for extra traveling time. 3. Ensure your windscreen wipers are in working condition. Drive with your lights on and at a reduced speed in order for other road users ti see you. 4. Ensure you are dressed warmly and wear light and or reflective clothing. 5. In an unlikely event you break down on the side of the road, do not get out your vehicle unless you are 100% sure its safe to do so. 6. Ensure your cellhone is 100% charged, before traveling. 7. If your electricity has tripped, ensure your firstly switch off the mains isolater. (Usually located on the left hand side of your Trips switches .. which should be located to the left of the Trip Switch “one that has a “test button””. … Or switch them all off! 7a) Then use a torch if you are still in darkness and check that all lights and plug points are firstly wet do not at any time touch the wet light switches or plugs if the electricity has not been properly switched off. 7b) If everything is off and you find anything that is wet, ensure you use a dry towel and unplug the affected plug points. Followed by wiping the areas dry. 8) Members who are traveling on the roads please ensure you regularly press your breaks to warm the disk pads or drum pads which will assist in drying the pads for better breaking. 9) Do not drive into large puddles… the drain covers could have moved, and or been stolen! 10) If road sections have been danger taped… They have been done so for a reason! 11) Please be patient and obey ALL Traffic, Law Enforcement, Disaster Management and EMS officials. 13) If in doubt …. DONT!!!!! OFFICIAL ACR-KZNCADM vetting application form has been added. This form is interactive and operates on Microsoft Word. Please ensure if you wish to be part of or remain on ACR Platforms that you submit the details accordingly. 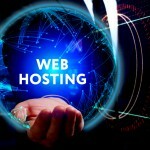 We now offer Web and Email Hosting as a Registered Web Hosting company. and visit our relevant page links. We have developed our website to be as user friendly as possible, and to bring all the much needed informational content under one roof! No more searching the internet! If we dont have the content, please contact our National Marketing Manager to provide suggestions, who relay information to our Executive Board and Web Development Team. Weather Reports – Up to date, Relaible, Accurate, Area, Regional, Provincial, National and International Reports: Comprising of Hourly to Weekly Forecasts! Live Traffic Twitter Updates from the most trusted Twitter feeds (No Twitter account needed to view on our site)! Aviation Tracking: Track all aircraft, flights locally and globally! View in real time position, with ETA Arrival! Maritime Tracking: Track all Maritime Vessels locally and globally (Ships / Tugs / Boats / Container Carriers etc), in real time, including the ability to see their pics, and which vessels are currently berthed in the relevant ports and\or anchored out at sea! ESKOM: Official Media and Alerts Twitter feed. Plus link to download your Load Shedding Schedule! We thank you for your time, and hope you will join us in our mission and vision in making South Africa a safer place for all. Together with our professional partners, we strive in making South Africa, a better and safer place, not only for our Citizens, residents, seasonal and migrant workers, but also our visitors, and tourists, and last but not least our farmers, who are the bread basket of not only our country, but to many other countries. ACR has a following membership of 80 000 Plus and growing across our extensive social media platforms. We Cover border to border and neighboring countries with our extensive partnership. Should you wish to join our ACR WhatApp Groups please whatsapp 0659868175. Vet you per category ie Trusted Civillian Groups (Provincial / Local / National), Farmers Groups, Law Enforcement, EMS, CIT, Anti Poaching, NIU, Intelligence, Tracking, Hawks, or any other specialized group. Please note without relevant clearance and vetting, you will not be allowed access to the specialized groups!